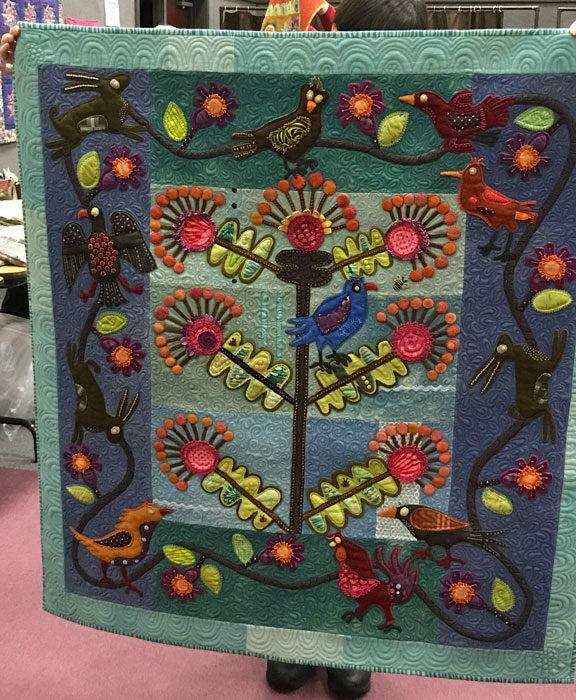 Last week our speaker at Northwest Quilters Guild was Sue Spargo, well-known for her hand embroidered, wool quilts. Obviously, I’m behind in posting, but I have good reasons. 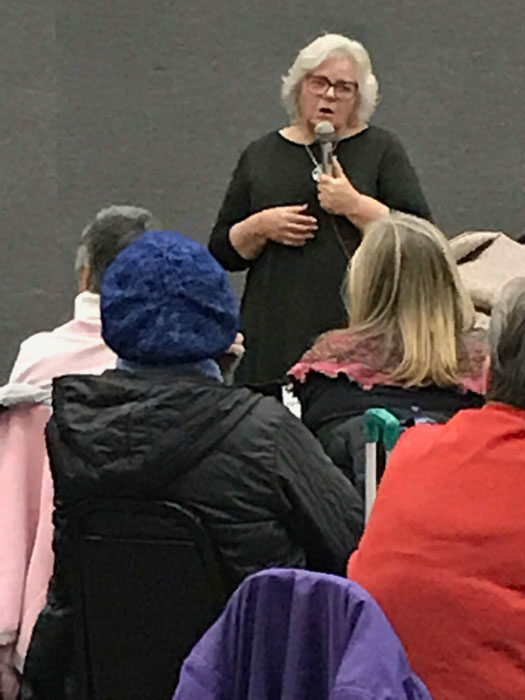 I attended her workshop the two days following her evening presentation. 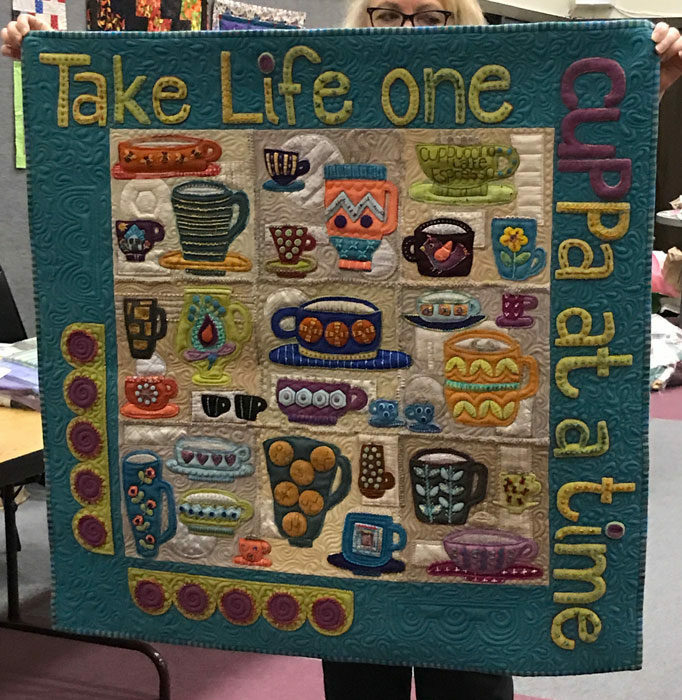 Then I went back to working on my World Poet Challenge quilt. I’m excited about the progress I’ve made and hope to post photos soon. 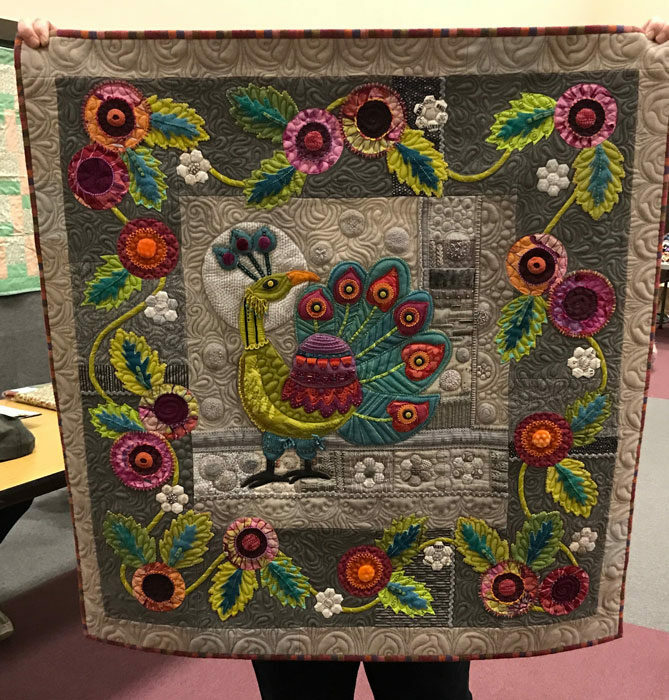 In the meantime, here’s a pic of Sue, who was born in Zambia and lived in South Africa, and several of the quilts she brought to show. You can see the African influences in much of her work. Wish I had titles but none were provided. 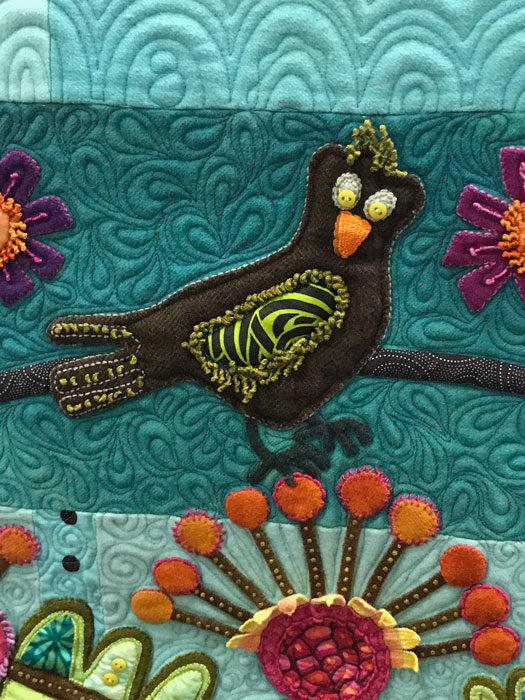 I love the expression of the bird in this detail shot. 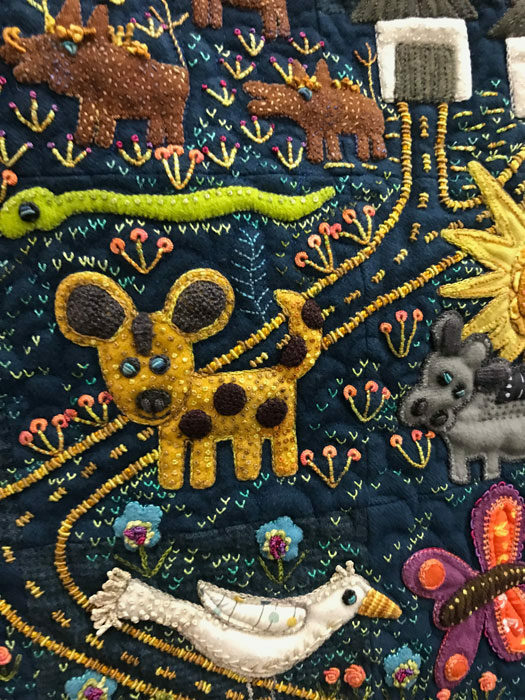 Here’s a close-up of the hyena in the quilt above. So charming. Notice how Sue uses negative space–there’s scarcely any at all. 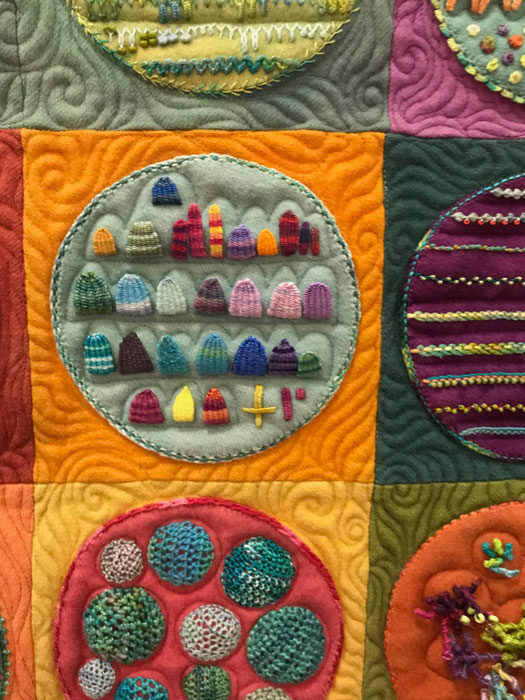 She fills her quilts chock-full of motifs and stitches. 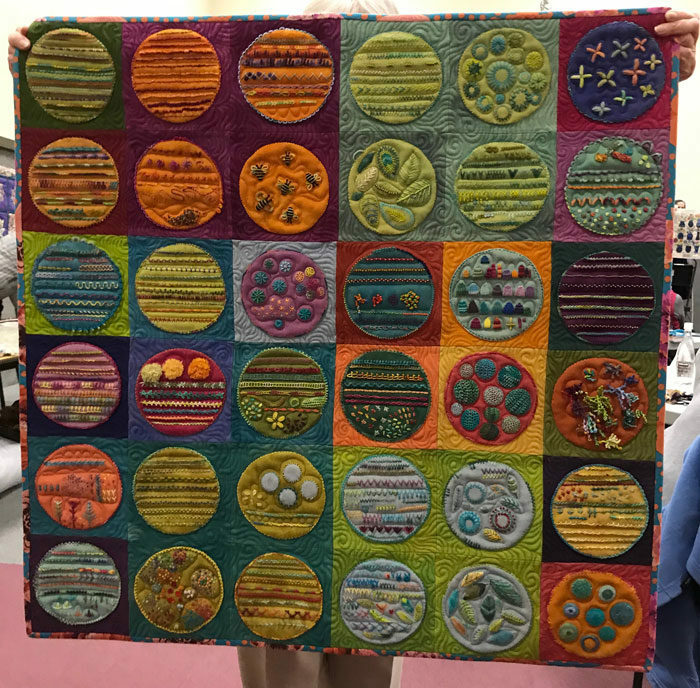 The large circles in the quilt below feature a wide variety of stitches. Sue is known for the way she combines them to create outstanding texture. 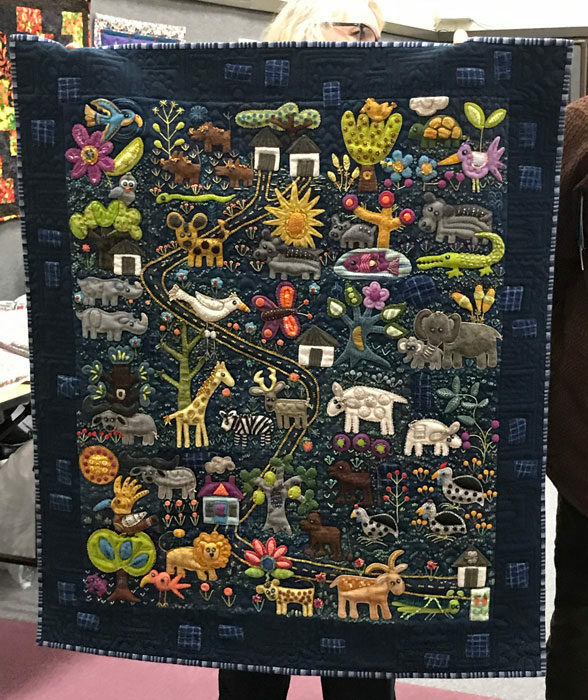 This final quilt is a new direction for Sue. 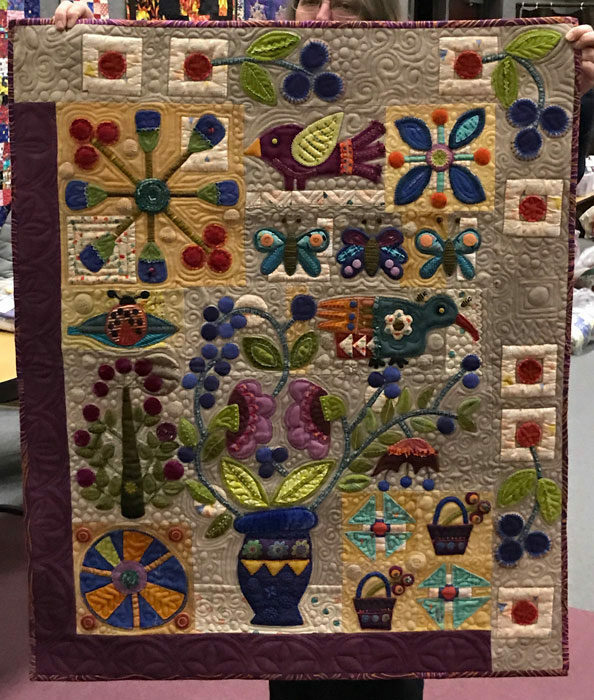 It’s a patchwork made with solid fabrics, containing machine quilting with motifs outlined in hand embroidery. 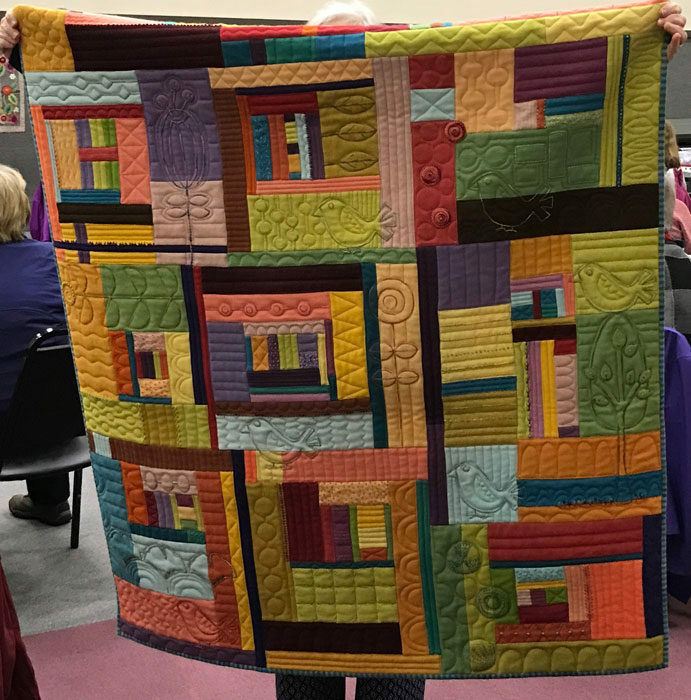 Notice how she constructed this quilt in blocks in similar fashion as those above.